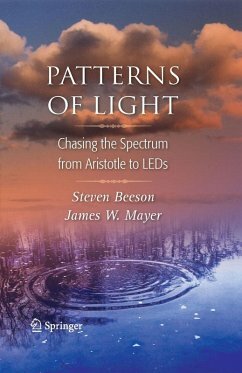 Any student or engineer working in optics or the field of laser technology will find this a fascinating read. The book begins by addressing the properties of light as seen in the everyday world: events such as refraction in a pool, lenses in the form of glasses, the colors of objects, and atmospheric events. Latter chapters explain these events at the atomic and subatomic level and address the use of electron and optical microscopy in observing the worlds unseen by the unaided eye. Exercises and activities will be found in an appendix, but the primary volume can stand alone if the reader so desires. The Path of Light.- The Reflection of Light.- Daguerreotypes: Light Captured.- The Refraction of Light.- Lenses: From Water Drops to Telescopes.- Sources of Light and Color.- Diffraction and Interference.- Rainbows.- Sea, Sky, and Cloud.- Polarized Light and Sunglasses.- Photons, Electrons, and the Atom.- X-rays, Ultraviolet Light, and Infrared.- X-ray Emission: Earth, Moon, and Mars.